On the chart, you can see the Rhino Brain. We are told that this proves that Rhinos have inferior mental capacity. Pardon Us if We don’t subscribe to that ‘scientific‘ assessment. 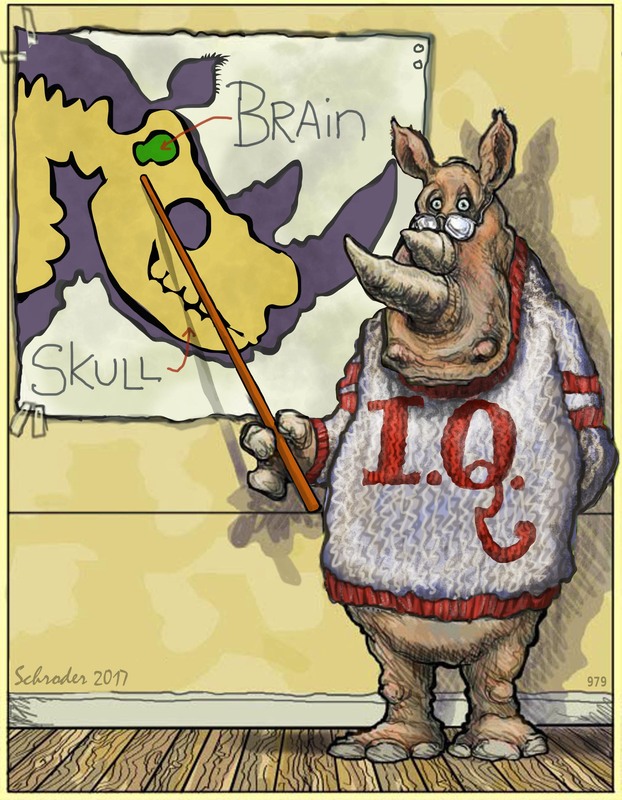 Obvious reservations present themselves: Maybe 1) Rhinos use more of our brain than other critters, 2) We store part of our wits somewhere else, like our kidneys or kneecaps, 3) We don’t fritter away our capacities; We mind our own business. Also Etc., Etc. But these are not Questions Rhinos bother with. We are fancy free as is. Any Rhino could and would tell you, if asked. Always a pleasure to learn new things, especially from such strikingly garbed instructors.